Home » Misc Frantery » Dinosaur Head, Half Price! Surely I must know someone who would love to receive a life-sized dinosaur head! On sale for only ¥18,900, it’s so hard to pass up! I mean, who wouldn’t want a tyrannosaur hanging over their fireplace? 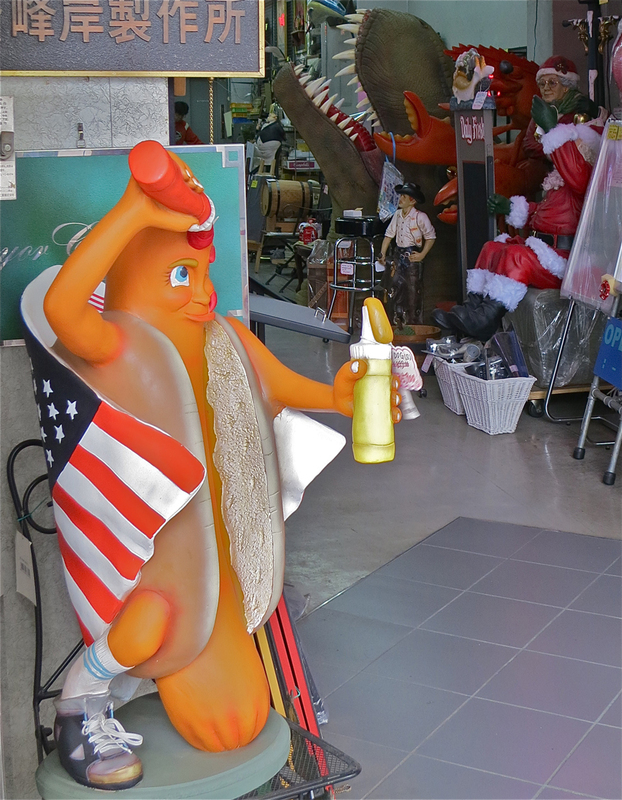 This shop on Kappabashi street in Tokyo’s restaurant supply district specializes in custom-made props. In addition to Rex the Friendly Tyrannosaur, today’s stock included Mr. Menacing Lobster, the Lonesome Cowboy, Santa Claus and the Missus, and Squirty the Cheerful Hot Dog. If you’d like to visit Kappabashi Street the next time you’re in Tokyo, a map and more pictures are on my website, The Tokyo Guide I Wish I’d Had. Pingback: Places Kids Like, And You Will Too! | Let's Go To Tokyo! ¥18,900 is about $181.00 at today’s exchange rate. 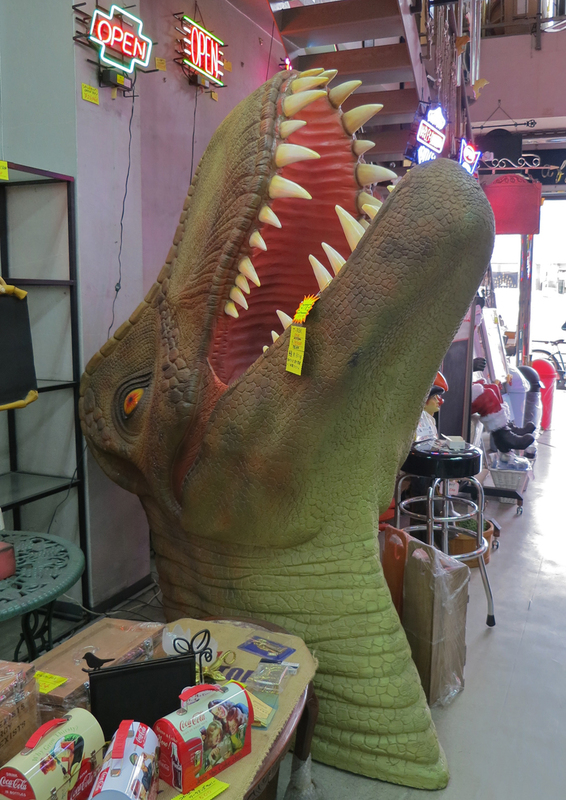 This dinosaur head is so huge, though, I’m pretty sure you’d pay a lot more than that for shipping, if you want it sent anywhere outside of Tokyo!